After getting a waffle iron for Christmas, I’ve tried a number of different waffle recipes at home. I’m obsessed with creating new, healthy versions of my childhood favorite. I’m also fairly obsessed with making treats that are filled with protein. 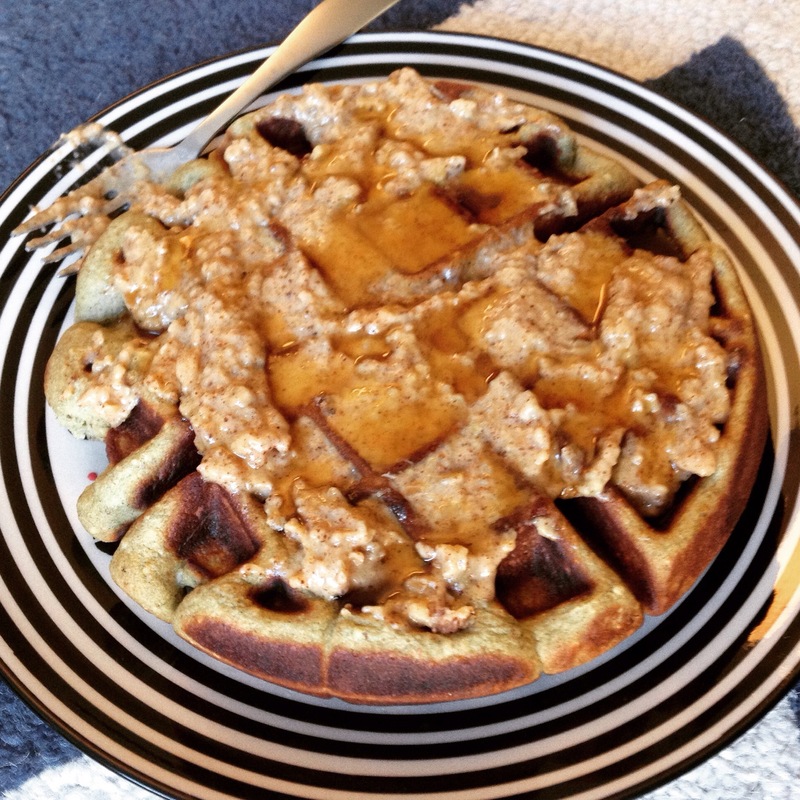 So the idea of protein waffles are right up my ally. They’re a great option to make and split into multiple servings, then just toast to reheat, or, if you’re planning a super active day, powering up with an entire one for breakfast or brunch. 1) Put all ingredients into blender or food processor. And blend until smooth. 2) Heat up waffle iron and spray with olive or coconut oil to keep from sticking. 3) Pour mix into waffle iron and cook until steam stops escaping (or slows significantly) from waffle iron. Should take 5-7 minutes for a Belgian waffle size maker. 4) Top with topping of choice. I made Peach Almond Butter (blended 2/3 cup thawed frozen peaches with 2 tbsp almond butter, 1 tsp of stevia, and 1 tsp maple syrup) but it would be delicious with fruit and greek yogurt too.